The most highly respected website for ranking and finding criminal lawyers today is Avvo (). The website uses a highly secret algorithm to rank criminal defense attorneys based upon experience, customer satisfaction, industry recognition and a number of other undisclosed factors. The website also offers users the ability to ask lawyers questions and seek advice on a variety of topics. If you case is in Oakland County, Wayne County, Macomb County or anywhere else in Michigan, you can use Avvo to help find the most aggressive lawyer to handle your criminal charge or allegation. I’m a big believer in comparing lawyers and researching potential attorneys on the internet. I frequently speak to people who are looking for lawyers and indicate that an attorney told them not to call around because they will become confused or because they will just run into an attorney who will trick them. My believe is that unless you meet with a lawyer that you are totally comfortable with, you should talk to one or two other lawyers to get a basis for comparison. 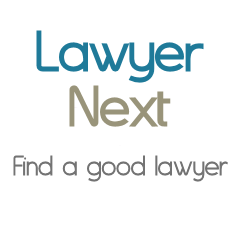 Lawyer rating sites like , , and are excellent resources to find and compare attorneys. On , the top rated lawyers are rated at 10.0 which means superb. On , the top lawyers are rated “AV” which means preeminent. Finally, on , the top rated lawyer is 5.0. One question I’m frequently asked when being interviewed by a potential client on a criminal defense case is whether the best lawyer to defend a criminal charge is a “criminal defense attorney” or a “general practice attorney.” In many of these cases, the client has used an attorney before on a divorce case or other civil suit and he or she is being told to just use the same attorney to defend a criminal allegation, felony or misdemeanor. Using an attorney who practices multiple types of law on a criminal defense case is a big mistake for many reasons. The criminal justice system is unique because criminal defense lawyers are in court constantly where lawyers who handle other types of law either split their time between court and doing paperwork or they are mostly working in the office setting. Because of criminal defense lawyers have the ability to build reputation with the other players in the criminal justice system, they have a distinct advantage over a civil attorney who isn’t as familiar with the important players, system intricacies, and best procedures. The criminal defense attorney who is a known trial lawyer and litigator will bring not just experience but the treat of experience. Most criminal cases do not go to trial and usually result in a settlement of some type (a plea bargain, sentence bargain, Cobb Agreement, diversion, advisement, etc…). There is just no doubt that a known criminal defense trial lawyer will be able to achieve a better settlement than a less experienced criminal defense lawyer and a much better settlement than a even less experienced and known civil lawyer. As a side note, I also believe in looking a person in the eye before you hire them. The eyes are the window to the soul and one of the best means of being able to determine if a person (including a lawyer) is being honest and sincere is to look into his or her eyes before you make a final decision. If possible, always ask for a free consultation on the telephone and if you think there may be a connection, ask to meet in person. Just to be clear, because there is often some confusion, civil attorneys work on cases that do not potentially involve jail, prison, probation, or parole. If a case, investigation or charge may result in jail or prison time or probation, the case is criminal. Some examples are domestic violence, DUI/DWI (drunk driving), retail fraud, embezzlement, assault, murder, criminal sexual conduct, driving while license suspended (DWLS), child abuse or neglect and more.